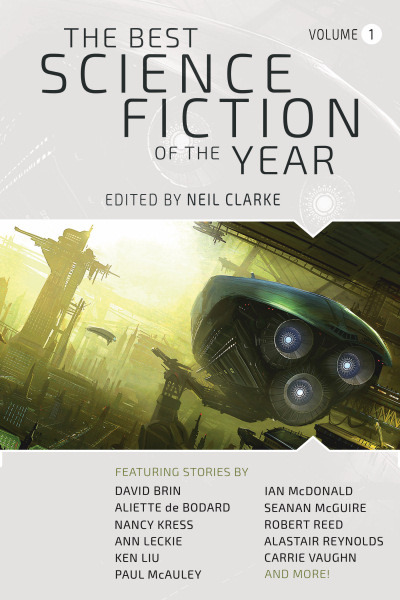 Just received, this volume of Neil Clarke's picks for best science fiction stories of 2015, including 'Wild Honey', my little tale of feral bees and hallucinogenic nectar. The trouble with writing genre fiction set in a utopia, so the old saw goes, is that genre fiction thrives on conflict, and there can be no real conflict in a perfect world designed to eliminate all of humanity's problems. Some utopian science fiction novels willingly eschew story for guided tours of the automated steam creche and the airship factory. Some, as in Iain Banks's Culture novels, are set at the edgelands and borders of their utopias, where perfection and rationality grind against the malfeasance of the unenlightened. And in others, as in Aldous Huxley's Brave New World, or Ursula Le Guin's The Dispossessed, an outsider or a disillusioned citizen questions whether or not it's an actual utopia after all. 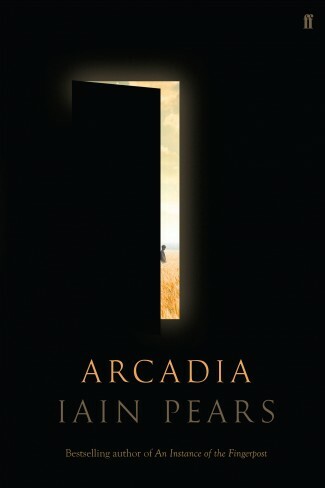 But the real problem with writing about a utopia, of course, is devising one in the first place, which is the starting place for Arcadia, Iain Pears's intricately and elegantly tangled blend of utopian fiction and time-travel. The lynch-pin of its story, Henry Lytten, is an Oxford academic and sometime government agent in the 1960s, who still attends meetings of the Inklings long after CS Lewis and JRR Tolkein have departed, and has spent many years devising his own personal utopia, Anterworld, a kind of Narnia without the Christian underpinnings. The details of this fantasy world are used by one of his friends, Angela Meerson, to furnish a pocket universe, for Meerson, it soon turns out, is a renegade scientist who has devised a time-machine and used it to escape from the twenty-third century to 1936. Her version of Anterworld is supposed to be a temporary experiment, but gains substance when Lytten's resourceful cat sitter, 15-year-old Rosie, discovers the portal Meerson has stored in Lytten's basement. Lytten is the fussy author of Anterworld, and Meerson is its architect, but Rosie is its vital spark, its beating heart, who on her second visit leaves behind a doppelganger who becomes entangled in a question of succession on which the fate of Anterworld hangs. Meanwhile, in the future, a kind of Marching-Morons dystopia dominated by an elite cadre of scientists, Meerson's superior, Zoffany Oldmaster, draws up plans for an apocalyptic use of her invention that turns on the question of whether Anterworld exists in the past, future, or a parallel universe. That's the bare bones of Arcadia's richly recomplicated and recursive narrative, which was published both as a conventional book and an app for Apple devices which includes extra material and allows the reader to trace the story via the timelines of key characters (this review is based, by the way, on the old-fashioned dead tree version). Pears's clear, unadorned style and expositional narrative steers the story through the intricate relationships between the three worlds and their various characters towards the climax of the end-times plot that underlies Anterworld's charming wainscot fantasy. Perhaps rather too much of the narrative is dominated by courtly intrigue and a romance between Rosie's doppelganger and a Robin Hood figure that cleverly echoes Shakespeare's As You Like It, and the imaginary worlds of the future and Anterworld are only lightly fleshed out, but the focus of the novel isn't so much on generic worldbuilding as on the stories that weave the three worlds together. Above all else, this is a story about the power of Story: the stories we tell ourselves about our lives, the way in which stories appear to glide on their own melting, and the autonomy or otherwise of their characters and their relationship with imagination and free will. The story of Arcadia is, as Rosie points out to Lytten, got up from all kinds of prior stories, from Alice in Wonderland, C.S. Lewis's Narnia and 16th century pastorals (it takes its title from Philip Sydney's The Countess of Pembroke's Arcadia), to science fictional dystopias, James Bondish derring do, John Le Carre's spy fiction, and much else. Its bubble universe is, in short, a kind of preserve of every kind of story, a refuge whose society is regulated by scholars -- storytellers -- who solve disputes by referring to manuscripts that tell the story of their world's past and future. For stories can also become sacred texts, fixed and changeless, whose translation into law can imprison society in utopian amber. Only new stories can set us free.